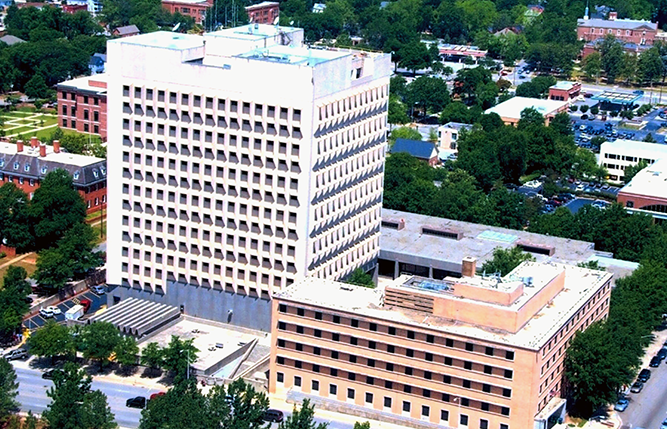 The Storm Thurmond Building is located in Columbia, SC and houses the federal offices for the region. It consists of six different roof levels and is 10 stories high. 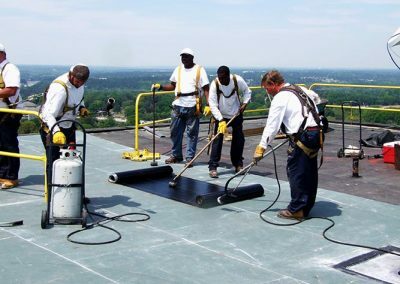 The project consisted of the removal of the existing built-up roof and the installation of new torch grad modified bitumen roofing. 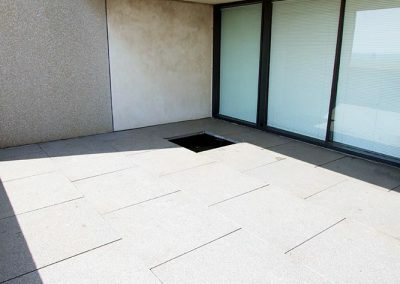 The cost of the project was $1,000,000. 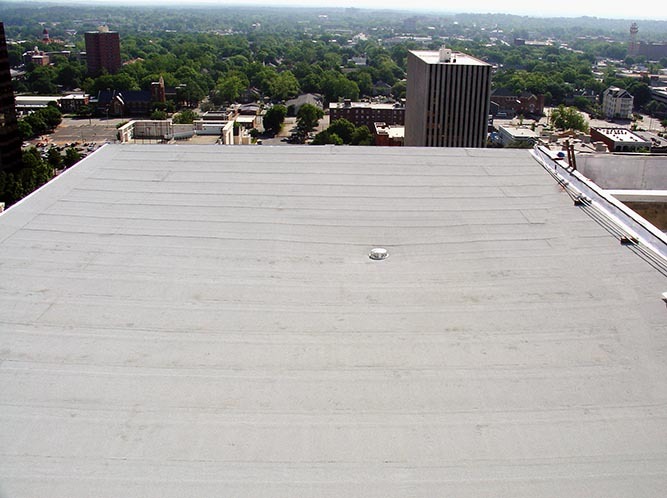 Our scope of work consisted of construction administration and periodic inspection during installation of the roofing materials. Construction administration included conducting the pre-work meeting, reviewing submittals, oversight of roofing operations, pay requests and closeout documentation. This project required creativity and insight while working out problems. Due to the poor soil conditions, it was not possible to install a tower crane. 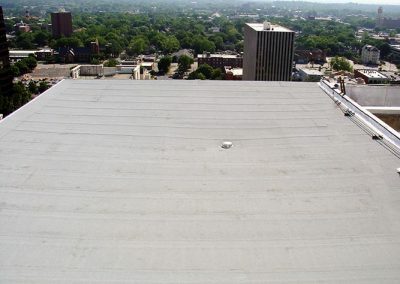 We assisted the roofing contractor in developing alternative methods to access this building. Because this housed the federal offices for the region, tight security measures were put in place and personnel was required to follow protocol. Interior operations continued during the re-roofing phase, so a schedule was developed to minimize the impact on interior functions. This project was completed on time and on budget.